The historical consciousness of medieval Jewry has engendered lively debate in the scholarly world. The focus in this book is on the historical consciousness of the Jews of Spain and southern France in the late Middle Ages, and specifically on their perceptions of Christianity and Christian history and culture. In his detailed analysis of Jews’ understanding of the history of the communities they lived among, Ram Ben-Shalom shows that in these southern European lands Jews experienced a relatively open society that was sensitive to and knowledgeable about voices from other cultures, and that this had significant consequences for shaping Jewish historical consciousness. Among the topics that receive special attention are what Jews knew of the significance of Rome, of Jesus and the early days of Christianity, of Church history, and of the history of the Iberian monarchies. Ben-Shalom demonstrates that, despite the negative stereotypes of Jewry prevalent in Christian literature and increasing familiarity with that literature, they were more influenced by their interactions with Christian society at the local level. Consequently there was no single stereotype that dominated Jewish thought, and frequently little awareness of the two societies as representing distinct cultures. 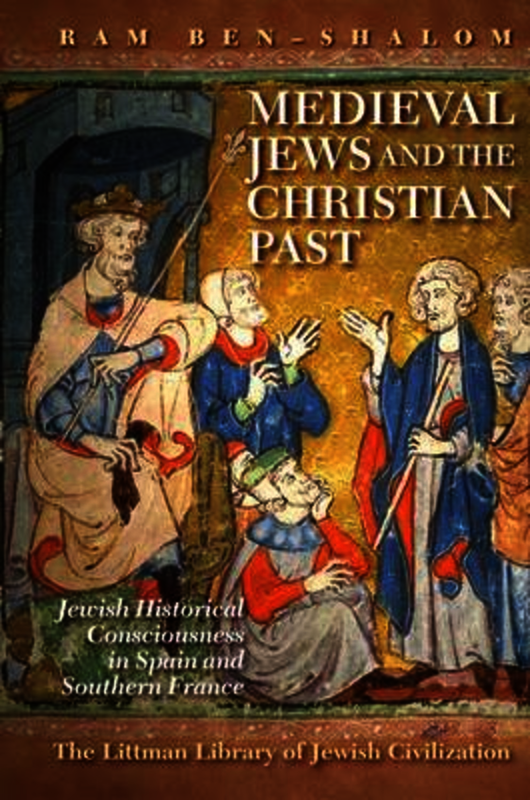 This book contributes to medieval Jewish intellectual history on many levels, demonstrating that, in Spain and southern France, Jews of the later Middle Ages evinced a genuine interest in history, including the history of non-Jews, and that in some cases they were deeply familiar with Christian and sometimes also classical historiography. In providing a comprehensive survey of the multiple contexts in which historiographical material was embedded and the many uses to which it was put, it enriches our understanding of medieval historiography, polemic, Jewish-Christian relations, and the breadth of interests characterizing Provencal and Spanish Jewish communities. Ram Ben-Shalom is Professor of the History of the Jewish People at the Hebrew University of Jerusalem, and director of the Center Hispania Judaica; he is a member of the academic board of I-Core Center for the Study of Conversion and Inter-Religious Encounters and chair of the International Society for Sephardic Studies. He has served as head of the Department of History, Philosophy, and Judaic Studies at the Open University of Israel. He has been a visiting scholar at the Oxford Centre for Hebrew and Jewish Studies, the Institute of Advanced Studies at the Hebrew University of Jerusalem, and the Humboldt University of Berlin. He has published widely on medieval European Jewish history and is a specialist in the Jewish–Christian discourse of the Middle Ages. The Hebrew edition of the present volume, published in 2006, was awarded the Samuel Toledano Prize for its contribution to understanding the Sephardi past in its Christian context. He is the co-editor of 'Conflict and Religious Conversation in Latin Christendom' (2014). His 'The Jews of Provence: Renaissance in the Shadow of the Church' (Hebrew) is forthcoming, and his current projects include an edition of the letters of a Jewish scribe in Aragon and a study of Isaac Nathan of Arles.